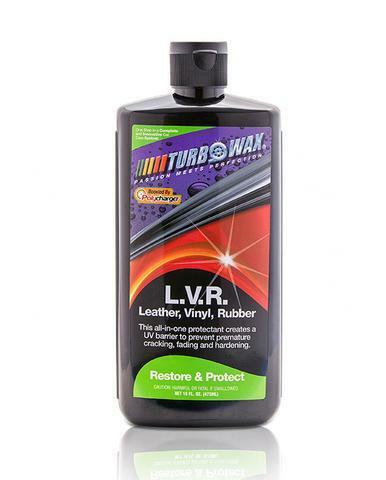 Turbo Wax has created a special blend of ingredients that produce a UV barrier, shielding against the sun to prevent cracking and fading of all your vehicle’s interior leather, vinyl, and rubber. This special blend blocks the sun’s intense rays from penetrating and altering leather, vinyl, and rubber surfaces. This non-greasy formula lets your interiors natural color shine through! !